An exciting new development of DAMG is the monthly showcase which features new and promising artists and is held at the Under-Solo club in Camden, London. I had the great pleasure of speaking with and interviewing Elliot Avnon (El) who is the Managing Director and CEO of Discovering Arts Music Group. Kirk, DDTTRH: What would you say to critics of Duran Duran that don't see them as serious artists? El: show me serious artist and i will show you DD. its sound to me that the critics are or too OLD or have a bad taste in music. seriously DD shape my taste in music and i am sure they have done this to most of the world. There is no one person in the word that is not aware of their music and contribution. Kirk, DDTTRH: I noticed that one of the areas that you assist artists with is fashion and merchandise. How do you think Duran Duran has inspired the fashion of today? El: you can see DD music videos and you will understand that DD had created their own fashion style i remember me imitating Simon Le Bone clothes. Kirk, DDTTRH: I'm sure being in London has given you exposure to many great bands like Duran Duran. What makes the city perfect for your business? El: if you want to be in the movie business you go to Hollywood. if you want to be in the music business you go to London. THE love to music and culture in England is something I have never seen in any other countries in the world. Kirk, DDTTRH: How long have you been in business? How do you enjoy it so far? El: I have been in the music business since I am 13 starting as a DJ and moved to radio, TV, Music production, A&R. running my own successful labels and now DAMG. I even have few TOP 40 hits in the official charts. I enjoy it all with the new changes as its makes me more alert and the internet has changed it all for the best of course. Kirk, DDTTRH: Tell us about your Showcase nights, held at the Under Solo club in Camden. 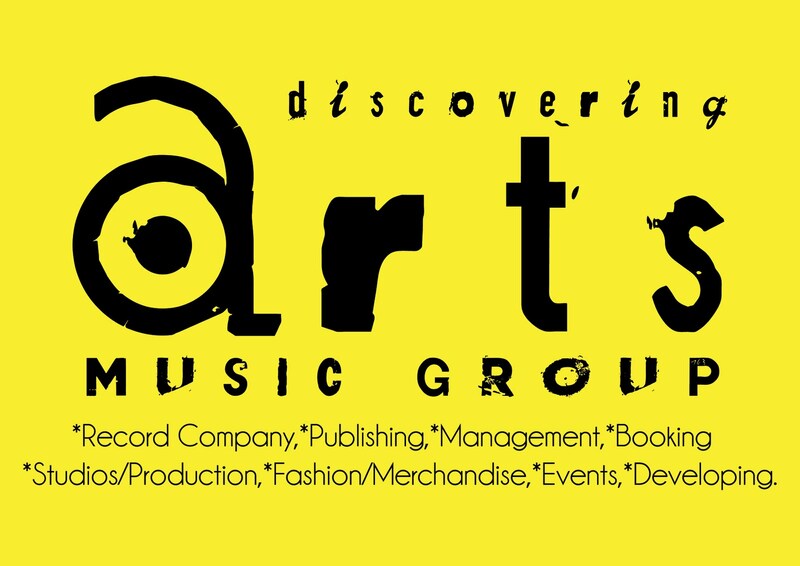 El: Discovering Arts Music Group (DAMG) are preparing a showcase of the UK’s most promising and exciting artists. Held at the prestigious venues in London, three artists who have been selected amongst hundreds of potentials will grace the stage, looking to provide incentive for a 360 deal (including record deal, management, publishing etc) to be offered their way. DAMG are specialists in the fields of Music Publishing, Label, Artist management, Record distribution, Production and Promotion and also book live tours and events. We are a one-stop-shop for artists, providing all the materials, advice and guidance an emerging artist will need to break into the music industry. The monthly music showcase is not only the chance for people to witness an exceptional and diverse array of talent, but also for the artists to establish their recognised star quality in a live arena. Kirk, DDTTRH: Seems your company is involved with many parts of making an artist successful in music. How large is your staff and what motivates them in working with new and upcoming musicians? El: We are 10 People in the office. Working hard in finding the next bit talent. Thats what motivate us all. it's not enough just finding the talent its also the commitment and the right way of doing it which involve a great team working together. the global spectrum. How have you accomplished this so far? El: We are having artists from all genres such as hip hop , rock, pop, Indie, folk, ambient. we cant concentrate on one as we will effect our income. we have to do it all and do it great. Kirk, DDTTRH: Tell us about a few major successes you have had so far as an organization? El: Popularity is like the weather. Success is not final, failure is not fatal: it is the courage to continue that counts. Kirk, DDTTRH: As you probably know, we interview new and upcoming artists as part of our effort. What would you like to say to these artists that might steer them towards you? Kirk, DDTTRH: Thanks so much for interviewing with us! I am excited that you are part of our fan base. El: My pleasure as I am a big fan of DD. they influenced me a lot back in the 80s and 90s.